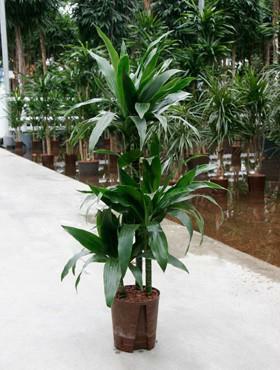 Notes:- Dracaena is Latin for a she-dragon. Originally they come from the Canary Islands and West Africa and are available in a range of sizes from 300mm up to about 3.5m. 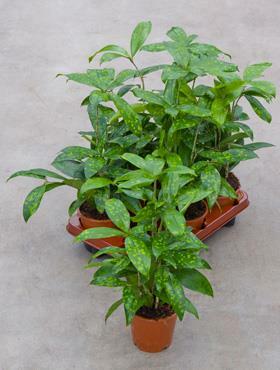 Colour varies from pale green with golden spots (surculosa) to variegated yellow and green, white and green/grey and plain dark green (Janet Craig). Leaf shape is also quite varied from oval to fat strap like with all widths in-between. 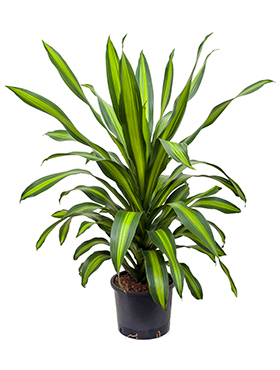 NASA rate this plant as one of the best air filters.